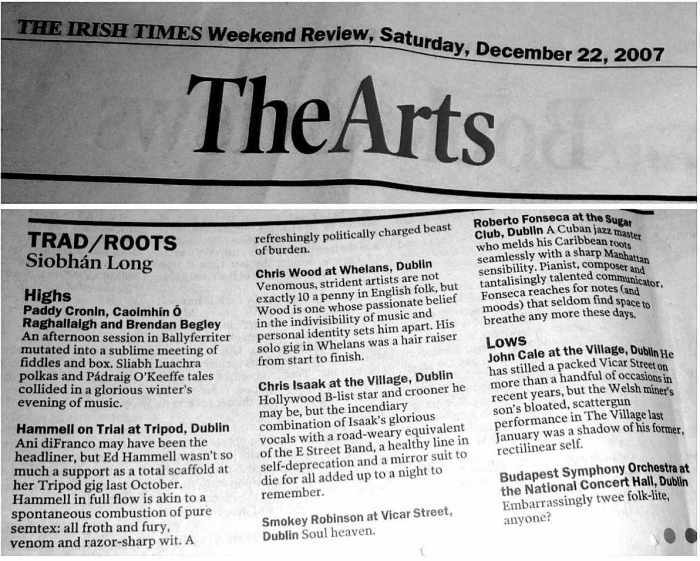 7th December 2011: Video of This Is How We Fly playing live on The John Murray Show, RTÉ Radio 1. 19th September 2010: Page 1 and Page 2 of a glowing review of Comb Your Hair and Curl It written by Earle Hitchner in the Irish Echo! 7th January 2010: One-Eyed Man Mini-Site This mini-site for my 'Where the One-Eyed Man is King' EP has been tucked away in the dark corners of this site for ages, a little too hard to find. Tracknotes and the like are to be found there! with his own explorations in composition, recording, and art. modernist) sensibilities, and a thing of beauty to listen to.